Circa 1950 photo added courtesy of David Kroger. Latchis Theatre marquee on the far left. The Theatre Historical Society archive has the MGM Theatre Report for the Latchis; it’s Card # 491. Address is Main St. There is an exterior photo dated Feb. 23, 1941. The condition is Good. The report says that it was built about 1920, and is showing MGM films. There were 700 main floor seats, and 250 balcony seats. 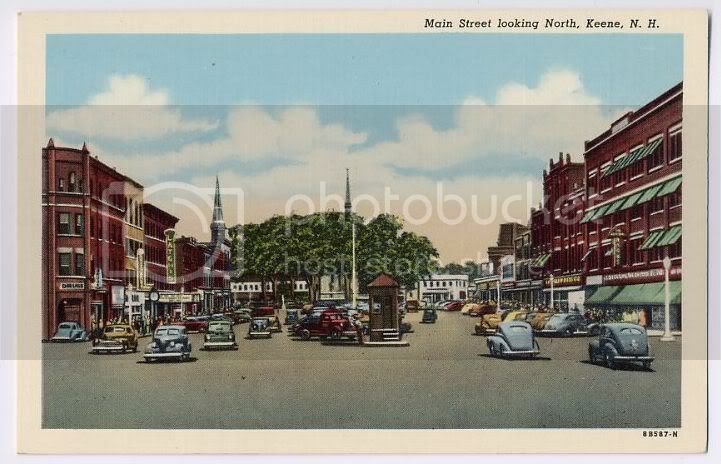 The 1940 population of Keene was 13,800. Keene’s first run move theater… The Colonial down Main Street was for family-Disney fare… I remember the black marble inside… It’s last years running were sad, with buckets left out to collect rain water… Resentful friends at funerals tell me how during the 70s I forced them to take in Woody Allen movies there! 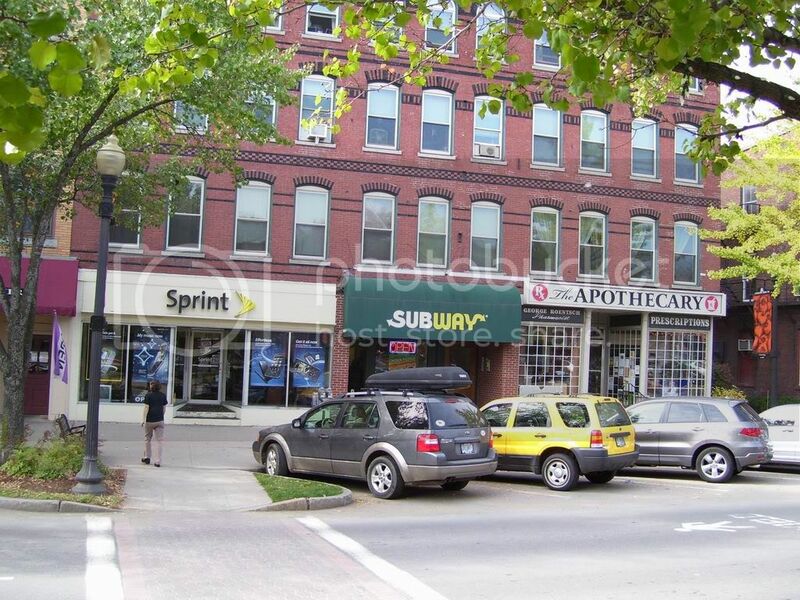 When I was a boy, 12 or 13 I believe, I lived in Troy, NH, about 10 Miles south of Keene. Playing in our front yard one day which was next to a major thoroughfare, my friends and I heard a loud bang. We looked to see a car moving at an unusually high rate of speed straddling the guardrail. The car ended up in our neighbors yard across the street. Our town cop showed up minutes later (in a bit of irony, the car ended up in the yard of Troy’s future police chief). We were then informed that the driver was Mr. Latchis. He had fallen asleep at the wheel. No mention of the incident was in the paper, nor was a report filed. This link shows a large series of pictures of the demolition. From the 1930s a postcard view of the Keene Theatre in Latchis. Here’s an update. The auditorium building is being torn down after sitting since the fall of 89. I have some information on what remains of the Latchis Theater. The building was to be divided into retail and restaurant space in the late 80’s. Work was begun and the theater’s auditorium was gutted out to the bare walls. Steelwork was begun to divide the space up but in the fall of 1989 all work ceased when the country was heading into recession and the bank that was financing the project pulled out. The building has sat unfinished since then. 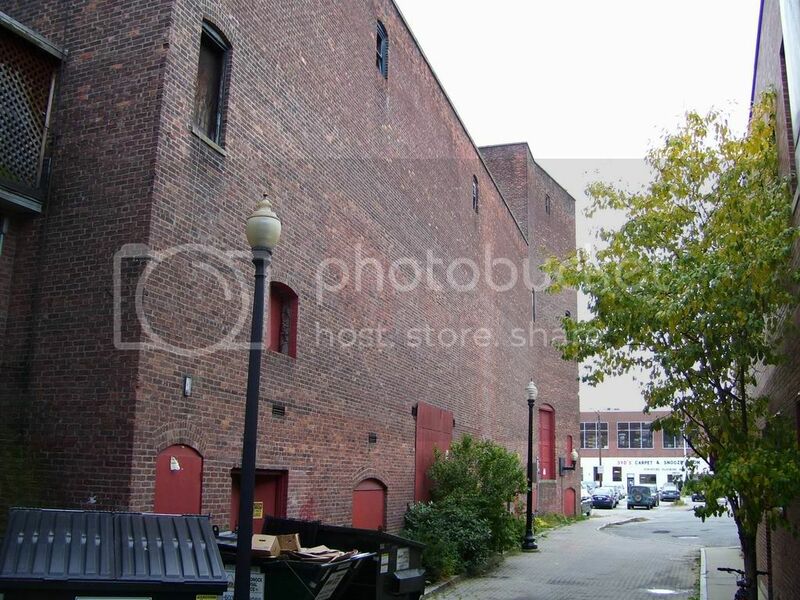 If you are visiting Keene on Lampson St there is a double doorway behind a dumpster that the doors are chained closed but do open a crack so you can see into the old auditorium space. I wasn’t able to get any photos of the space but did get several of the outside of the building. I’ll post these seperately. I remember going here occasionally as a kid. I more often went to the Colonial as that theater generally ran more family movies(Disney) then the Latchis did. It seems to me the Latchis in the 70’s and early 80’s ran mostly R rated films. I remember toward the end we used to have to dress accordingly if we were going to see a film in the Latchis during colder times of the year as their heat wasn’t very good. Mostly what I remember about the inside was the ceiling had a large oval decoration attached to it of which ½ of it was missing. I’m thinking that it must have been installed in two parts originally and one of them came down or was removed for safety reasons. 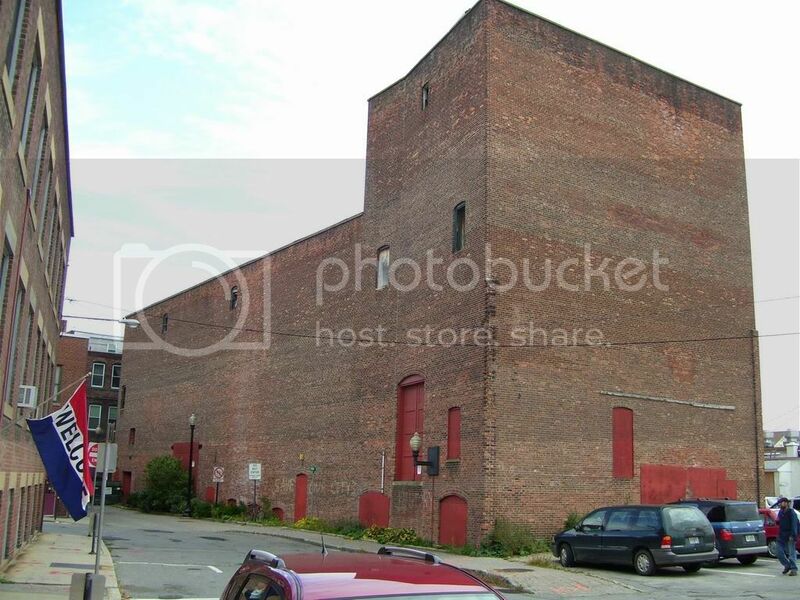 Seems to me there was a Latchis Theater and a Comiston Theater in Newport.N.H. both owned by the Latchis family, but this is only a guess. An Estey organ, opus 2147, was installed in this theater in 1923.